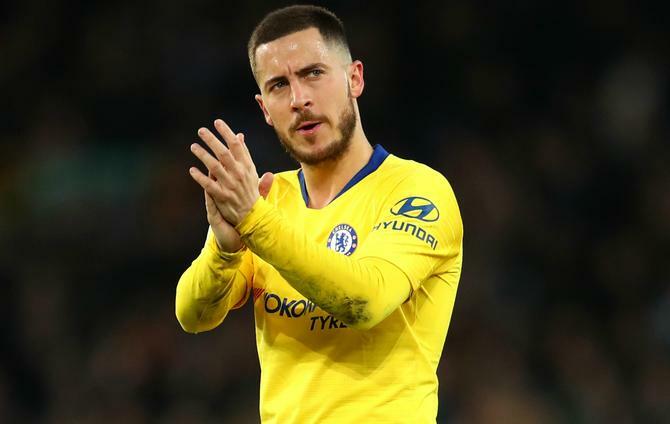 Eden Hazard said he is “not working” on a transfer to Real Madrid as he tries to win the Europa League, though the Chelsea attacker did not completely rule out a switch to the Santiago Bernabeu. Hazard has long been linked with Madrid and speculation over the Belgium international’s future has intensified following Zinedine Zidane’s return to the Spanish capital as head coach. Hazard has made no secret of his “dream” of playing for Madrid, however, the former Lille man is focused on claiming European silverware and finishing in the Premier League’s top four before season’s end. “I’m not working on that right now,” Hazard told VTM News when asked about a move to Madrid. Hazard – preparing for Belgium’s Euro 2020 qualifier against Russia on Thursday and Cyprus three days later – added: “We can win the Europa League – we must win the Europa League, or finish in the top four to play in the Champions League next year. Hazard has scored 16 goals this season, with 13 of those coming in the Premier League as Maurizio Sarri’s Chelsea sit sixth, three points adrift of fourth position.